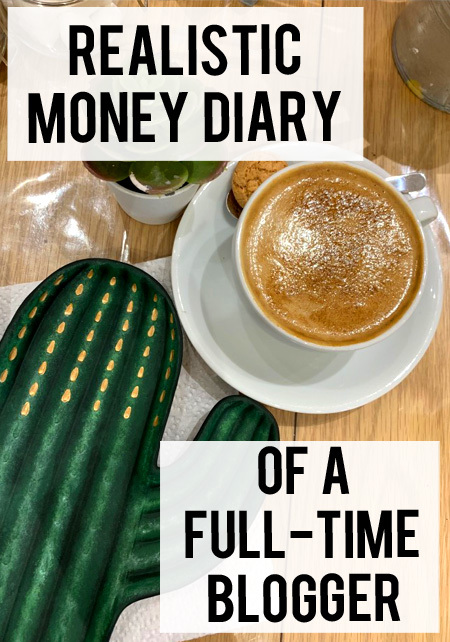 New year, new money diary! You guys loved my last one in December and it was really interesting for me to see exactly where my money goes, so I’m making them a regular thing! This time it’s January on a budget, but we still got side-tracked and thrown off a bit by unexpected expenses. 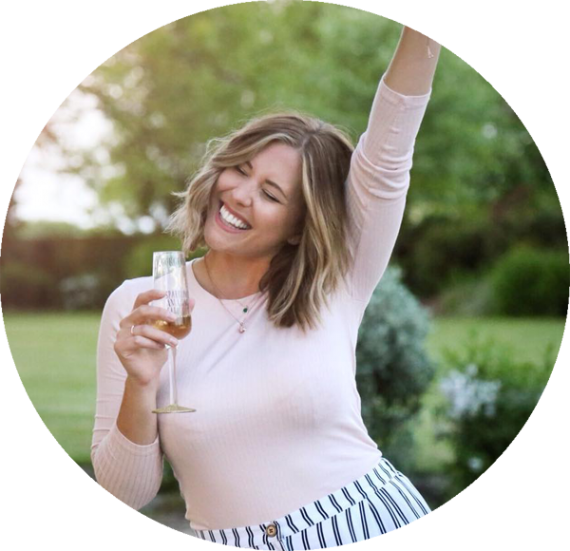 Here’s how I (quite literally) spent my week…. I didn’t really leave the house today apart from to take Toby on a walk. For lunch and dinner I ate some pesto pasta from the cupboards and an omelette with stuff from the fridge but it’s certainly time for a food shop! All that’s left are sad looking selection box chocolate rejects and a bit of festive cheeseboard cheese at the back of the fridge! Shall venture out tomorrow to re-stock the fridge. Today I had to do a food shop because the cupboards were well and truly bare. I set myself a £30 budget for the week for all my meals and food which is tough to stick to if you want variety in your diet. But I shopped at ASDA and the final bill came in at £29.74 – WIN! It’s the boyfriends birthday and although I’d already bought his main present, I wanted to make him a silly little gift as well so I spent an evening at my ceramic cafe haunt – pretty pots. 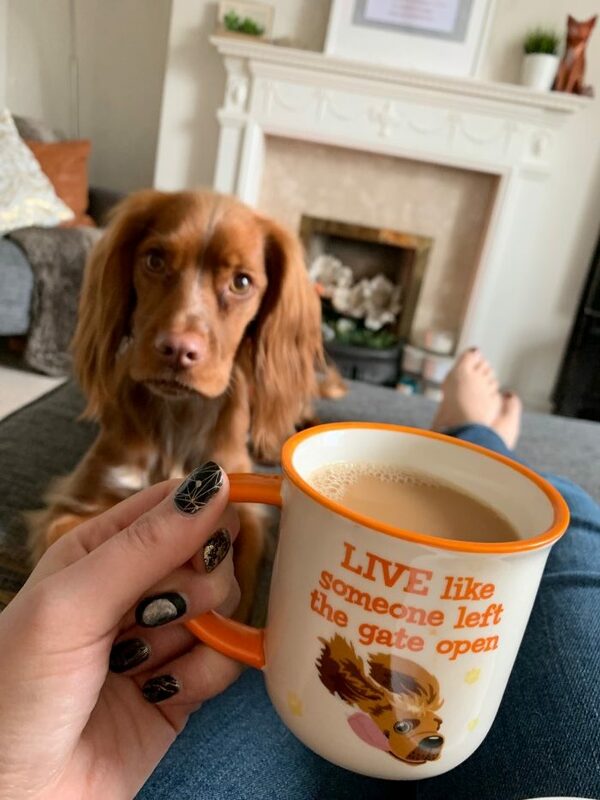 I made him a mug (£15.95) and treated myself to a cup of Earl Grey (£2) while I painted. I love making people gifts, it gives that extra special edge, and it’s fun to do! WATCH: My Weekly Food Shop Haul for Under £30! Today my friend came over to stay for a few days on an un-planned but lovely visit. 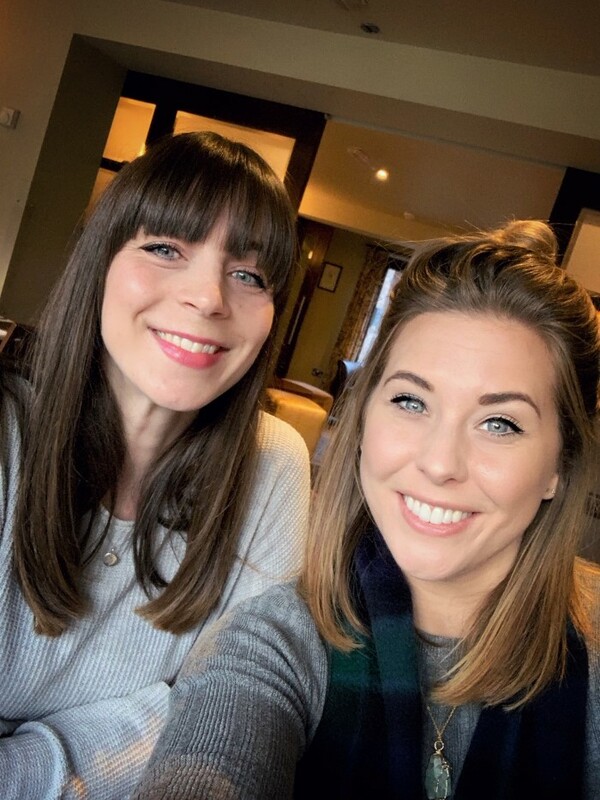 I worked most of the day and when she turned up I bought us a bottle of wine and some snacks from Tesco so we could unwind and have a bit of a catch up (£9.84)! Today was another working day so I didn’t really leave the house to spend anything. But I did buy Toby a little heat pad to put in his bed at night from Amazon to keep him warm as this cold spell approaches (£12.99). Hopefully he’ll like it! Pretty Pots again! As my friend was here, she really wanted to see what all the hype was about so we went over for a couple of hours in the afternoon – how could I say no to converting another pottery person! 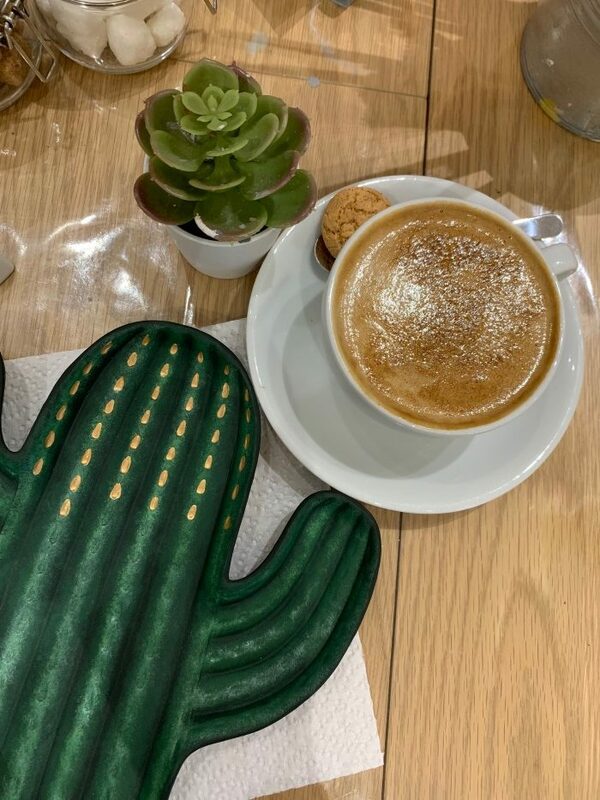 I started a new project, a jewellery tray for the bathroom(£14.95 + £3.50 studio charge for your paints and table) in the shape of a cactus and of course we had to have cake (£3) as i’d been raving about how good it was…and a coffee too (£2.50). We were there and engrossed for 3 hours and the cactus I started will keep me busy for the next few sessions, so it’s worth doing bigger items in the long run. It’s just a bit pricey when you go twice in one week and paint a birthday present for someone else AND something for yourself! It was girls night tonight (on a budget!) so I picked up some garlic bread and pasta to make a huge batch for everyone coming round (£2.75) and I drank gin from my home alcohol cupboard! This morning I went for coffee (x2!) & cake (£8.50) with the girls while we all finished off our pottery bits as Lauren was heading back to London and wouldn’t get a chance for a while. 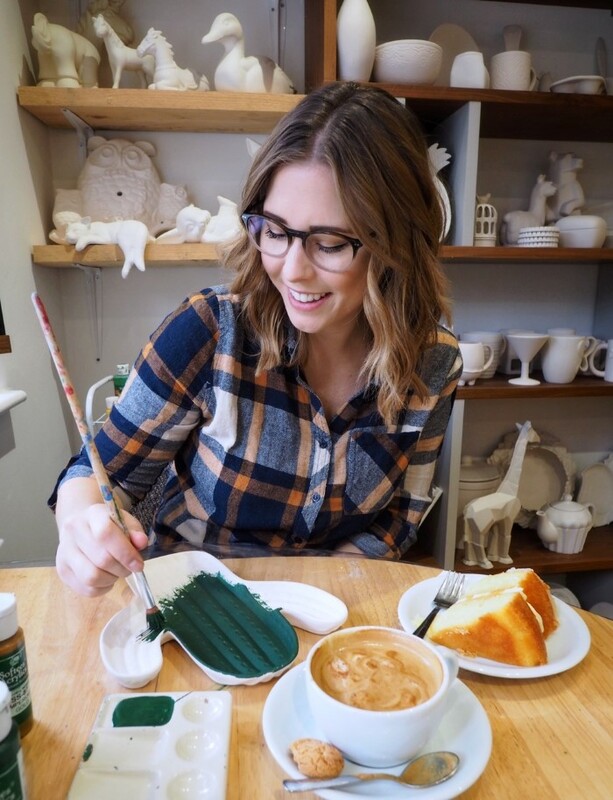 It was such a lovely morning chatting and being creative – I promise I don’t normally spend 3 days every week at pretty pots, this was an exception…and besides, they do the nicest coffee and cake in my town anyway so it makes sense! I had nothing in the fridge so we went to Subway (£6.20) at about 4:30pm which filled be up so much it served as my late lunch and dinner. I hardly ever go to Subway but I was a big fan of their steak and cheese! I needed to nip to Primark to get a thick hoody because I’ve turned the heating down after a horrendous heating bill in December…but I used a gift card from Christmas so it was free! And I also realised that I’ve got four birthday presents to wrap this week so had to buy some wrapping paper, but that also went on my gift card while I was in the shop. Luckily I bought all the presents last month (apart from the mug I painted on Tuesday) so I didn’t have to face this bill in the new year…why are all my friends and family born in the same two months!!! Sunday all my guests were gone and I was left to my own devices. I cleaned the house, painted my nails and chilled in front of the tv for a while. My favourite spa had invited me down to try out their new Winter Afternoon Tea, so I combined the visit with a little birthday surprise for my friend Maggie to catch up, eat cake and pass on her birthday present. It was so lovely and kept me full for the rest of the day so I didn’t even need to buy dinner – win! £50 at pretty pots in one week is not usual (believe it or not!). I needed to go once this week to make a birthday present but the other £33 was all on me, bowing to peer pressure from friends on a time limit to finish their items…and delicious cake of course! No one forced me to go, I did in fact drive there on my own free will, but it put quite a big dent in my spending this week which wouldn’t be usual. Food bills are a regular occurrence and I find in order to eat well you do have to spend a little bit more. 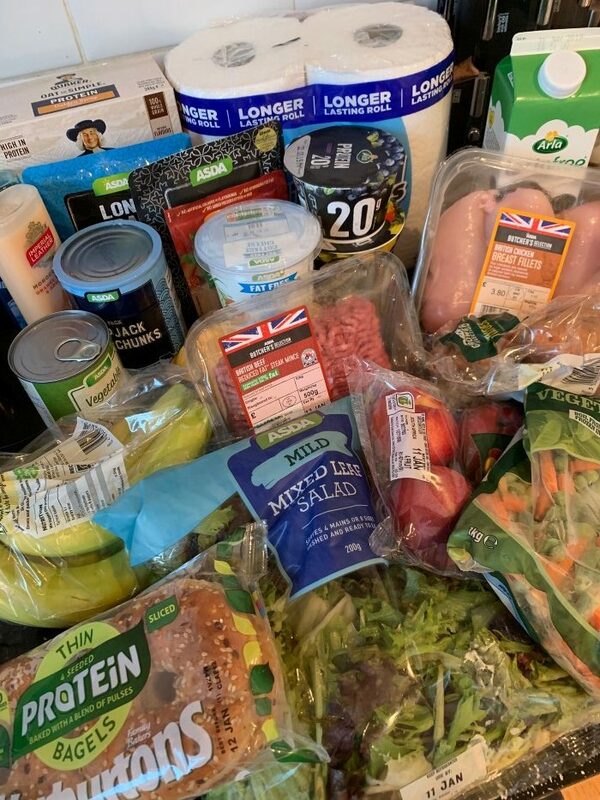 I filmed my food shop this week, so if you’re nosey like me and want to see exactly what was in my shop then you can watch my budget food shop haul here! All in all it wasn’t too bad this week. Those extra spends will be made up on quieter weeks and will average out across the month. Hey, maybe we should do a monthly money diary too?! Life is for living, but balance is key…see you next month!